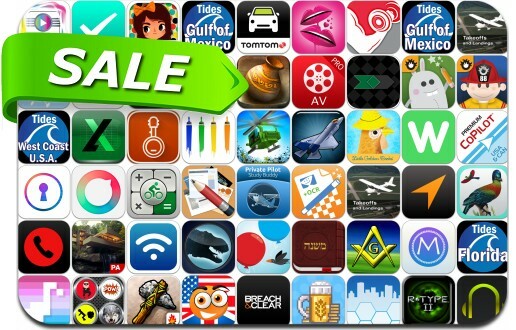 No need to pay full price to get awesome apps, just check out these 52 iPhone and iPad apps that are on sale right now. This app deal alert includes Breach & Clear, Stone Age: The Board Game, Fiz: The Brewery Management Game, Lume, GPS Tracks, Phone Drive, Web Page Creator, Let's create! Pottery, Suburbia, har•mo•ny 2, My Workout App, R-TYPE II, AVPlayer Plus Pro, TomTom U.S. & Canada and many others.